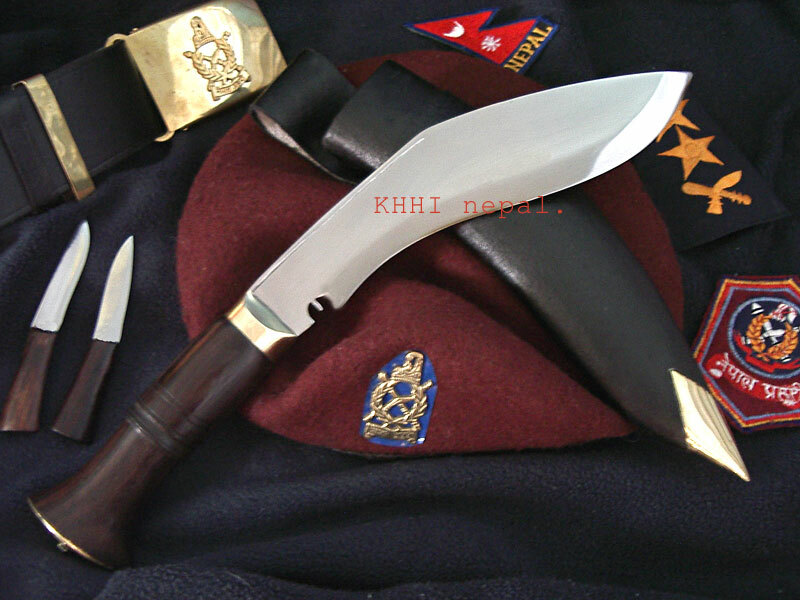 Khukuri issued to the jawans of Nepalese Police Force..
Kukri being the national knife of Nepal is issued to all Nepalese Security Forces. The Nepalese national security forces famously known as “Nepal Police” also get khukuri in recruitment. Prior to 1864 AD the Police institution dates back to the ancient times as does the history and language of Nepal. During the “Rana” Regime (1864-1951 AD) the Police Organization was conceived and gradual progression took place towards systemizing and modernizing policing. During the period 1951 till 1990 different major developments took place in the national police department particularly after the down fall of the Rana regime. The Police Head Quarters was established in 1952 in Kathmandu, Mr. Toran Shamsher J.B.Rana became the first Inspector General of Police, the Police Act came into effect in 1956, the Police Regulation came into effect in 1959, the establishment of the Central Police Training Centre came in 1963, Police personnel started getting deployed in UN Mission from 1991 and other central developments took place. Nepal police like any other police force in a country is primarily assigned and designed for public security, safety, safe-guarding, prosecuting, rescuing and other various policing activities executed competently with dignity, pride, courage. Currently the head of the Nepal Police is IGP Mr. Sarbendra Khanal (26th IGP since 12 April 2018 till date) by the decision of the Council of Ministers of the Government of Nepal. Young Jawans of Nepal Police are issued with a special type of khukuri that would serve them throughout their policing career. The security force has a particular type of khukuri slightly different than the army version. The blade is heavier, more curved and rosewood handle is preferred instead of horn like in the army ones. This kukri knife is retained throughout the subordinate-class career and regularly inspected by senior officers. It is a prize collection and also a reminder to the jawan of his loyal and long service to the country and it’s people after retirement. It is one of the famous knives because of its close association with the force. 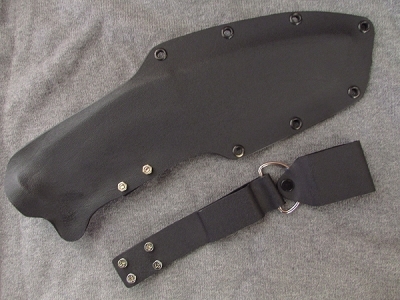 Nepal Police khukuri can also be used as a domestic and jungle utility knife. Since the knife comes with a good hacking weight the kukri becomes very effective and efficient for undertaking any cutting activities. The broader wooden handle gives easy and comfortable handling. Size of blade: 9 inch approx.